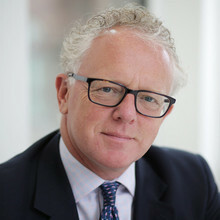 Andrew joined 1762 at Brewin Dolphin as Head of Business Development in October 2018. Andrew is responsible for growing relationships with professional advisers, such as lawyers and accountants, drawing on his experience in dealing with professional firms in the UK as well as in offshore markets. Previously, Andrew was Group Head of Business at Kleinwort Hambros in London; a Partner at Absolute Fund Managers LLP, where he managed the business of their private client-focused hedge fund range. Prior to this worked for Unigestion where he was instrumental in the growth and development of the Family Investment Office. Andrew has also spent a number of years advising high net worth clients in Jersey, primarily at Dexia Private Bank. Andrew read Business Studies at the University of the South Bank, London and holds the Chartered Institute for Securities & Investment – Investment Advice Diploma.